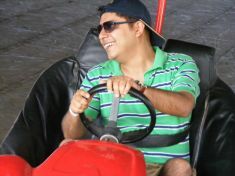 Rahul Sethi is currently a Business Head with Training Sideways. He has donned many caps depending on the weather, fashion trends and his mood in general. At times, he has chosen to not wear a cap and let the wind play with his hair. Recently, I got a query from an HR professional on two very important questions that you as a reader might also want to reflect upon. So I am taking the liberty of sharing our messenger conversation below. I would love to hear your thoughts on the same. “Thank you for your message Rahul. I had a look at your videos and your website. It looks quite appealing. However, I would like to understand a couple of details from you. 1. 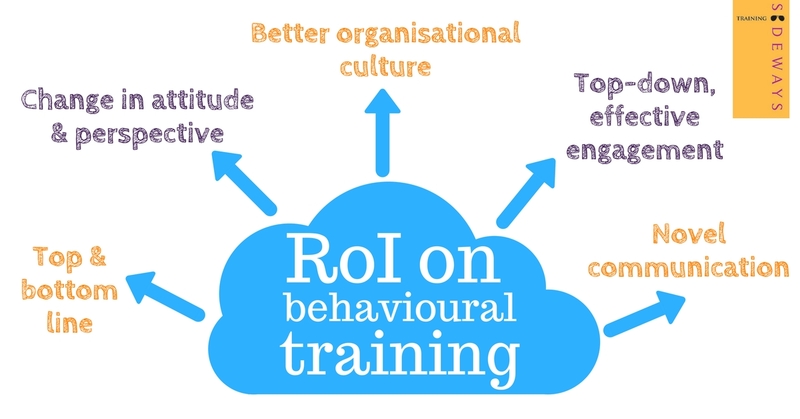 As Behavioural training does not have a direct impact on ROI of any business, what are the post-training assessments / checks / action planning that you suggest for measuring the impact of your learning activities. 2. Many companies misinterpret the term “Employee Engagement” to conducting events like “Team Building”, “Off-site”, celebrating days and having a monthly / quarterly / yearly Rewards evenings. What is your take on the term Employee Engagement? “Hi XYZ. Thanks for checking out our website and writing back. You have raised some very important queries and I will try to share my perspective on both here. The impact on business results will be the most tangible measure over time – maybe not the immediate quarter or year but surely over the years. And of course, the more intangible measure is a change in organisation culture over the years. Having said that, there are tools and techniques that you may deploy to measure personal growth of each employee who has participated in a training program and these range from self-analysis, manager assessments, 360-degree assessments, psychometric assessments, etc. You are the best judge of what measurement criteria and tools would be most appropriate for your organisation. On Employee Engagement, yes many organisations focus on the trees rather than the forest. Employee Engagement is a very wide topic and has multiple aspects but in simple terms it is just how involved, connected and motivated the employees of a company are. Without which, it is very difficult for any organisation to thrive. The key things that will drive high Employee Engagement are Clarity of Vision, Clarity of Role, Clarity of Measurement, Transparency in Management and the Culture and Values of the organisation. Yes Team Building, Offsites, and R&R programs are tools of building Engagement but if the key drivers of Engagement are not in place top-down, then these tools will be frivolous. Lastly, the way Training Sideways works with any organisation is that we believe you know your organisation and people best. Identifying objectives, outcomes and measurement of both training and engagement programs is best done by you. Our expertise lies in communication. We find the best ways to communicate with your internal / external audience such that the objectives are met. In that sense, we are methodology experts. We don’t intend to bring in some radical new theories of management or engagement that the world is not aware of yet. But we surely have brought in some radical new ways to communicate through experiential formats that will help develop managerial qualities and increase the level of engagement within your organisation. To quote an old adage, “You can bring the horse to the water but you cannot force it to drink.” Well, we like to think that our experiential methodology at least gets the horse to taste the water.